2332 Films is recognized as one of the best production companies in Ukraine for production services, digital content, TV film and music video production. We work with directors from all over the world and are passionate about what we do. 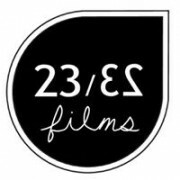 2332 Films is recognized as one of the best production companies in Ukraine for production services, digital content, TV film and music video production. Our 12 year experience have ensured long term partnerships with world’s leading brands. Our main assets are our team and attention to the detail. We are passionate about what we do. We are inspired by new challenges brought by our clients and partners and we perfectly balance the cost efficiency of a project with the highest quality of production and production value. We believe that putting creativity and stunning results before our own financial gain is the key to success of every project, – big or small. Vortex et bow-wow!? Le dernier tube de Romeo Elvis avec l’incomparable Tony Datis à la caméra. DOP: Bertrand Marin Production Company: HK Corp.